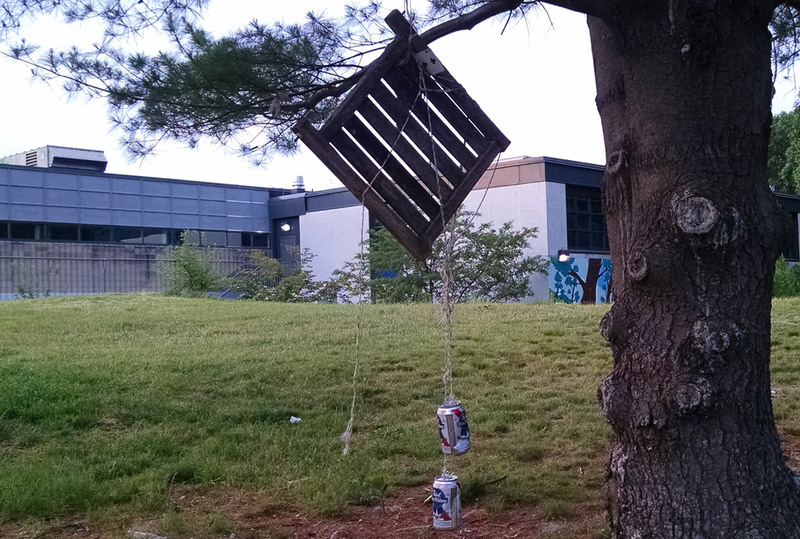 Chris the roving UHub photographer spotted this DIY dream catcher/wind chime combo, "lovingly wrought by the finest hipster craftsmen available," in Ringer Park behind the West End House. The Globe reports the festival will happen sometime next month at the Allston park. Nathanael photographs the elusive invertebrate and its "burden box" somewhere deep in the woods of this Allston park.